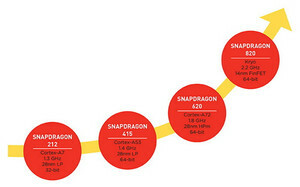 In addition to Smart Protect, Qualcomm details further plans for the Snapdragon 820 including the Adreno 530 GPU and Hexagon DSP 680. The Qualcomm Kryo cores for the Snapdragon 820 promise to be highly optimized for heterogeneous computing with integrated CPU, GPU, and DSP cores. The manufacturer claims it to be its first custom-designed 64-bit quad-core CPU with intregrated Adreno 530 GPU and Hexagon 680 DSP. Kryo is to supplant the popular Krait series of the current Snapdragon 800, 801, and 805 series. Leaked benchmarks in July from Geekbench gave a glimpse of what the Snapdragon 820 can offer. 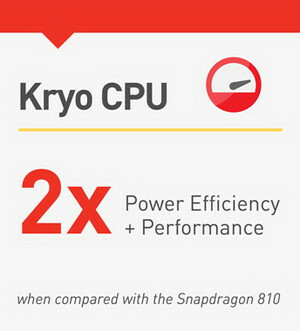 According to Qualcomm, the Kryo CPU is expected to be twice as fast as the Snapdragon 810 with twice the energy efficiency. The SoC will be manufactured in 14 nm using the FinFET process to achieve clock rates of up to 2.2 GHz. The system will be controlled by the "Symphony Smart System Manager", which will coordinate all tasks between the CPU, GPU, DSP, camera ISP, and other critical components. 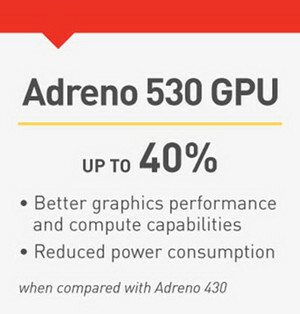 Qualcomm had already confirmed the new Adreno 530 GPU and Spectra ISP at Siggraph 2015 in Los Angeles. The GPU should provide a 40 percent boost in power compared to the Adreno 430 in the Snapdragon 810. 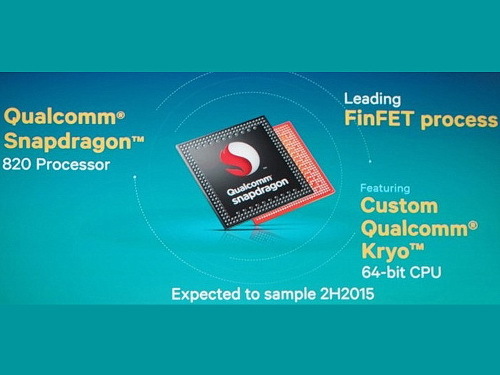 The previously revealed Smart Protect will makes its debut in the Snapdragon 820 series as well.